From the moment you enter the elegant foyer, graced by wainscoting and gleaming hardwood floors, you know you have entered a home of quality craftsmanship and great attention to detail. An office to the right of the foyer offers a great space for working privately from home. Crown molding and abundant natural light encircle the formal living room on the left, as a gas fireplace with a stylish white mantel and surround creates a focal point for this beautiful room. The living room opens into the elegant formal dining room as the hardwood floors continue to shine. All eyes will be drawn to the triple window in the dining room, accented by a built-in window seat, as wainscoting surrounds the room and sconces frame a cased opening. The dining room offers easy access to the butler’s pantry and the kitchen creating the perfect space for hosting special dinner parties with family and friends. The open plan, gourmet kitchen is a place all will love to gather as the chef creates culinary delights. The stunning kitchen features high-end stainless steel Thermador appliances, granite countertops, a huge center breakfast bar island with modern pendant lighting above, an eye-catching tiled backsplash, stylish white cabinetry, crown molding, recessed lighting, and shining hardwood floors. A huge triple window above the sink opens the home to even more light and air as the spectacular kitchen spills further beyond to a cheerful informal dining area. The informal dining area offers delightful views of the private backyard, a small brook, and the abutting Lexington Golf Club beyond as a sliding glass door connects to the expansive deck for endless outdoor relaxation and entertaining. The butler’s pantry connecting both the kitchen and formal dining room has wine storage, overhead cabinetry with glass- paneled doors, and a walk-in pantry. The showstopper kitchen flows seamlessly to the open plan family room defined by a half-height wall with decorative columns and built-in shelving. A wood-burning fireplace provides a cozy place to gather around on chilly nights. Deep crown molding and gleaming hardwood floors encircle the room wired for surround sound and perfect for effortless entertaining. The first level of this spectacular home continues with a large mudroom ideal for managing a busy lifestyle and family hobbies with built-in cubbies, coat hooks, a double closet, slate floor tiles, and convenient access to the home’s side entry and the gracious two-car garage. A half bathroom with a pedestal sink and stylish white beadboard wainscoting completes the first level. A thoughtfully designed second level delivers the gorgeous master suite and four more large family bedrooms. Prepare to be amazed in the spacious master suite full of natural light with shining hardwood floors, crown molding, and triple windows. An oversized walk-in closet provides endless storage and organization. The luxurious master bathroom stuns in neutral tones with a dual sink vanity, cherry cabinetry, quartz countertops, a soaking tub, a beautifully tiled steam shower with a frameless glass door, Carrara marble floor, and a separate toilet area. A second large bedroom suite delivers comfort and style with hardwood floors, crown molding, a walk-in closet, and a full bathroom with a quartz countertop and ceramic tiled tub and shower. All eyes will be drawn to the delightful chandelier as sunlight streams through the double windows of the lovely room. The shining hardwood floors continue to flow to the next bedroom suite with another large walk-in closet and full bathroom with a quartz countertop and a ceramic tiled tub with shower. Another family bedroom offers a unique and private space perfect for use as a nursery or sleeping area for children, offering a great solution for guests or extended family while sharing the room. This bedroom offers direct access to a full family bathroom beautifully finished with a marble countertop and a Travertine tiled tub with shower. The fourth family bedroom is just as beautifully appointed as the others with hardwood floors, crown molding, and a large double closet. Enjoy the added convenience of the spacious and efficient laundry room located on the bedroom level with a granite topped utility counter, shelving, and overhead cabinetry. This wonderful home continues to impress with more finished space on the third level featuring a huge playroom with wall to wall carpeting and built-ins. Sunlight streams through a row of skylights above. A bonus room with skylights offers a great space for an exercise area or a private retreat for a light-filled yoga studio. This home truly has it all as the walkout lower level unfolds into a true entertainment paradise for both adults and children. Inspire your inner rock star and jump onstage in the media room perfect for encouraging children’s emerging drama talents, band practice, or music recitals. A sitting area by the stage offers the perfect spot for fans to settle in and enjoy the show. Be the envy of the neighborhood with your very own indoor hockey rink, the perfect alternative to video games offering the ultimate indoor recreation space. Enjoy quality time catching up with adult friends over a vintage bottle from your very own wine cellar as your future Boston Bruins players practice their puck-handling and slapshots for endless fun and entertainment. The hockey rink is fully equipped with Dryland hockey flooring tiles and netting on the windows for safety. The lower level continues to a bonus room perfect for use as a home gym with full-height windows and a cut-out to keep an eye on the hockey rink. A quick workout will help you warm up before you put on your cross-country skis during winter months and set off out the door to the vast and flat landscape beyond. The lower level mudroom offers a seamless transition back indoors with cubbies and coat hooks for storage and a bathroom for added convenience. A workshop is perfect for storing tools and managing hobbies. Central air conditioning keeps the home comfortable during summer months as heating and cooling is easily controlled by Nest thermostats. Your dream home awaits full of stylish luxury, endless year-round family entertainment, and perfectly situated on a quiet street in a popular Lexington neighborhood. 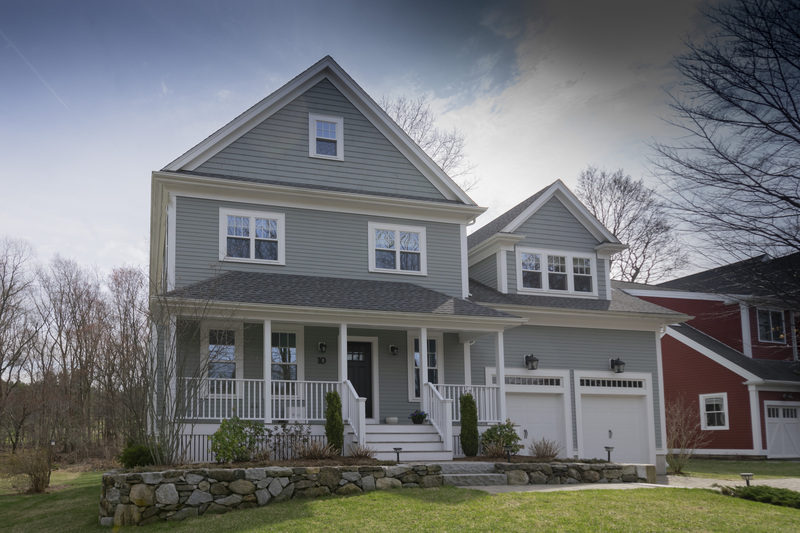 Enjoy a convenient location walking distance to the town center, less than three blocks to the Minuteman Bike Path, and abutting the Lexington Golf Club. Welcome home to the highly desirable community of Lexington known for its excellent public schools, rich history, open conservation land and parks, and dynamic community life.